Heritage Classics Motorcar Company is the largest classic car showroom in Los Angeles. With an extensive clientele and our many years of experience in the classic car business we are one of the foremost classic dealers in the world. The Inskip Collection is conveniently located on Route 2 in Warwick, RI just minutes from Boston. We feature 13 brands with over 800 new models and over 400 Certified and Pre-Owned models. We specialize in the finest investment automobiles anywhere. Our years of buying and selling and collecting these cars has made us extremely knowledgeable in which vehicles are the best values and have the highest potential to increase in value. For more than 50 years, Tafel Motors has provided an exceptional Mercedes-Benz shopping and service experience. Our success is built upon a foundation of an unwavering commitment to unsurpassed client service, and creating a customer friendly environment. Dr. Harac has been providing strategic and tactical business consulting since 1985. Their motto 'We build bottom lines' defines their mission. Dr. Harac works principally with senior management in small to mid-size companies, ideally identifying and developing profit centers. 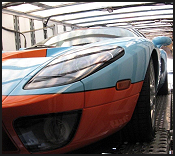 Our mission is to manufacture the world's best customized, specialty trailers while delivering our partners with the most comprehensive solutions and service. We aim to be your valued partner while remaining the industry leaders in high cube, custom vans and specialty trailer manufacturing. Located in Plymouth Michigan, Trailer Tech One has been providing superb performance and servicing of lift gates since 1998. We are a Cottrell warranty center that provides custom stainless steel welding and fabrication along with full trailer repair and maintenance. Island Technologies is an innovative and dynamic IT company, supplying a large range of computer products and services with the latest technology at the best value.